Nedbank Credit Cards offer different reward options. How would you like to be rewarded? Getting a Nedbank credit card is a good choice because you have the support of a bank that is a stalwart in South Africa. Nedbank was founded in 1888 in Amsterdam, opening an office in Pretoria. In 1992 the bank was changed to Nedcor Bank of which Nedbank became a division. Today named the Nedbank Group, they are one of the largest banks in South Africa, offering a wide range of credit cards to use in-store and on-line. What are the advantages of Getting a Nedbank Credit Card? 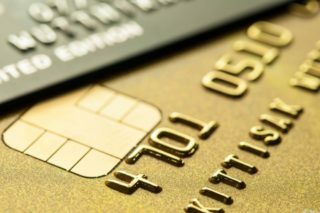 Even though Nedbank is a reliable and reputable credit card provider, you should always research what companies offer. Check out interest rates on credit-card balances, credit limits, transaction fees, card fees and the different reward programmes. Only then pick the card that suits your budget. Students love this card, unlike other credit cards, no proof of residence is required. You must, however, show that you are registered at a tertiary institution. All banks have loyalty cash-back programmes, and Nedbank has their Greenbacks. As a Nedbank Greenbacks member, you can earn Nedbank Greenbacks and spend them 24/7 at the online mall. While you keep using your card, your points never expire. You can also transfer your Greenbacks to another Greenbacks member free of charge. Your credit cards can also be linked to lifestyle rewards programmes, and just by spending, you earn rewards. Your income should be around R36 000 or more to own the Classic Credit Card. With a Nedbank Credit Card, you’ll have a once off initiation fee of R135. If you’re not sure which of the Nedbank cards to choose from, contact the card division. They can assist you with any queries. regarding your credit card application and help you choose the card that will suit your needs. Call Nedbank on 086 126 3464 to discuss this or email them at contactcentre@nedbank.co.za. Getting a Nedbank Credit Card is an excellent way to access money when you really need it. Nedbank’s credit card insurance also protects you from illness and retrenchment. Even if you’re not earning, you can still be paying off your credit card debt. Its quick and easy to apply, so what’s stopping you?